Each chakra candle is loving made with healing energy to use as an aid for clearing your chakras. Each chakra colour is imbued with pure essential oils that resonate and help clear that particular energy center. Only the violet layer is high quality phthalate free fragrance oil. Made with sustainable palm wax, these beautiful candles take a whole day to make, burn for 70 hours and are truly magical. Favourite candle ! Looks and smells amazing… love the way it changes through scents! 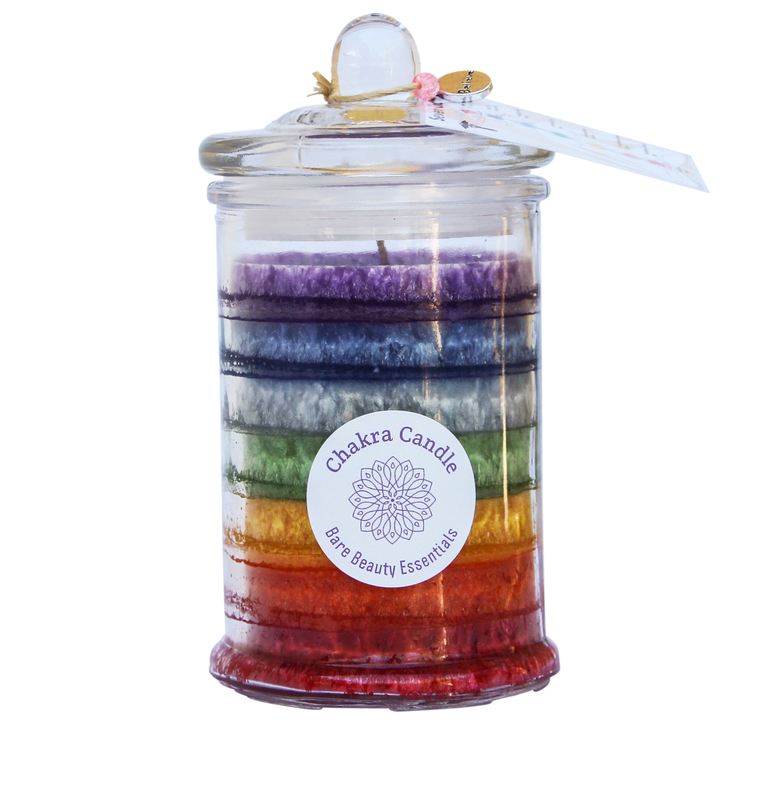 Love the chakra candles – look and smell amazing and make a great gift.